Schizophrenia is a psychological disease and disorder of the mind, known for thousands of years, and is widespread in women usually more than men. The period in which the disease is seen is the stage between adolescence and the age of 30 years, and men are infected earlier than women. According to studies, the spread of the disease is more common in industrial cities than in the countryside or villages. Scientists have not known the main cause of this disease to the date, but what specialists have suggested is that schizophrenia is caused by several factors such as genetic, social, and psychological factors. Genetic factors: One of the most important causes of this serious psychological disorder, where studies were conducted to prove the role of inheritance and its impact on the disease, as the proportion of infection increases the relationship with a person in this disease. Regardless of the importance and high proportion of this factor, researchers believe that it is a genetic tendency to be effective with the cause of the disease and the availability of other factors. Pregnancy and childbirth: Studies have shown that a large proportion of schizophrenic patients have been affected by complications in pregnancy and childbirth. This has been seen as a factor in getting ready for the disease but not directly causing it. Psychological factors: The conflicts and problems of maturity that a teenager may face and experience repeated failures or severe psychological trauma in early childhood and make the teenager return to a safer stage to satisfy him, or resort to the imagination to escape from reality. It is important to note that these factors are not only associated with the environment but are also affected by the nervous system and the endocrine system. Social factors or family problems: Studies have shown that the role of the family affects schizophrenic patients; patients living in families with a high degree of emotional change, hyperactivity, criticism, and aggression are most likely to relapse, and these factors increase the chance of disease and impede its improvement. Substance abuse and Addiction: Several studies have shown that people who smoke cannabis are more likely to develop schizophrenia than others and that those taking alcohol, sedative, and steroids regularly often get sick as a result of the use of these drugs. Chemical factors: Patients with schizophrenia suffer from excessive sensitivity to dopamine receptors. Dopamine is a neurotransmitter that helps to transfer nerve signals between the neuron and the other. This has led scientists to say that the disease may be caused by a defect in brain chemicals, but this theory is a secondary factor, as the excessive dopamine in the brain leads to the narrowing of thought and determining it, while schizophrenic patients have fluency in thought and breakdown in the logical coherence. Structural brain changes: Modern techniques such as magnetic resonance imaging have shown that people with schizophrenia have difficulty connecting activity in different areas of the brain and the lack of coordination between them. The specialists diagnose the disease by recording the patient's personal history and listening to those who surround him and interact with him daily. They also rely on clinical examination and x-rays in the diagnosis of the disease. The special evaluation and special assessment tools are conducted for schizophrenic patients. The first thing specialists will want to do is psychological assessment and complete medical examination. This will allow your specialist to track the symptoms for approximately six months to revoke other possible disorders, such as bipolar disorder, mood swings, and other possible causes. Physical examination: This can be done to help eliminate other problems that may be causing symptoms, and to check for all the complications involved. Medical tests: These may include tests to help exclude similar symptoms, alcohol and medication tests. The doctor may also require imaging studies such as magnetic resonance imaging (MRI) or computed tomography (CT) scan. Psychological assessment: The doctor or mental health professional examines the psychological condition by observing external appearance and behavior, asking a range of questions about thoughts, moods, hallucinations, delusions, drug abuse, and the likelihood of resorting to violence and suicide. This can also include a discussion of family history and personal history. 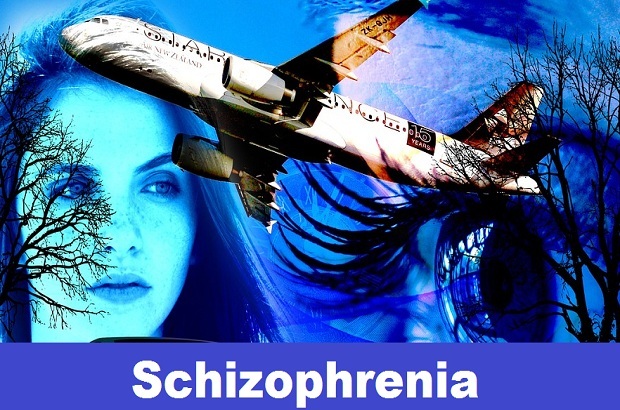 Schizophrenia diagnostic criteria: Your doctor or mental health experts may use the criteria listed in the Diagnostic and Statistical Manual of Mental Disorders (DSM-5) and published by the American Psychiatric Association. When you lose contact with reality and hear or believe things that are not really available, then the doctor says that condition psychosis. It may include experiencing hallucinations, having paranoia, hearing sounds and other delusional thinking. According to the National Institute of Mental Health, around 3 out of 100 people experience an episode of psychosis in their lifetime. Not everyone who has a psychotic episode suffers from mental illness. But schizophrenia can be the most common factor of early psychosis - especially in teenagers and young adults. Psychosis can make it hard for anyone to tell what is real and what is not. Changes in ideas and assumptions can be gradual. People who first experience psychotic symptoms cannot understand at the moment what is happening in their levies. They can only feel distressed or confused. In these circumstances family members, friends or other people in the community can be the first to spot for this type of mental behavior. If you or someone you know is experiencing symptoms of psychosis or schizophrenia, it is best to get medical treatment immediately. Such signs cannot be the cause of the alarm, although it is best to be evaluated by a medical doctor. Personal schizophrenia requires lifelong treatment even when the symptoms decline. Treatment with medication and psychotherapy can help control this condition. In some cases, hospitalization may be needed. Early detection of schizophrenia plays a large role in treatment. Treatment at its beginnings is easier, and the benefit is greater. As the patient develops, it becomes difficult to treat, which can lead to death or harm to him or others. Patients with schizophrenia are treated in two ways: Treating the symptoms of the disease, improving the performance of social functions, and both are closely linked. Studies show that there is a possibility of social recovery from the disease and the ability to move forward, especially in women, but some symptoms of the disease may still exist. 87% of the patients recover from the first relapse, 80% suffer a second relapse within five years, and 8% do not get out of the first relapse and deteriorate their condition with the continuation of setbacks, and 10% die of suicide in severe relapses. Therefore, the treatment of the disease must be continuous, controlled and uninterrupted so as not to get setbacks and deteriorate the patient's situation to the worst. Treatment of schizophrenic patients usually occurs in outpatient psychiatric clinics or may require hospitalization for a period of time, depending on the condition of the disease. The treatment of the patient is an integrated way through the use of medication, the rehabilitation of the patient to be able to deal with others, the involvement of the patient in the group therapy programs, and the work of family counseling sessions that will support the patient and help him to overcome setbacks. The person responsible for the treatment of schizophrenia is usually an experienced psychiatrist. The therapeutic team may consist of a psychologist, a social worker, and a psychiatric nurse and possibly a case manager for coordination of care. The integrated team approach may be available in clinics with expertise in schizophrenia. Medications are the most important treatment for schizophrenia, and antipsychotics are the most common prescription medication. Doctors believe they control symptoms by affecting dopamine: the neurotransmitter in the brain. Antipsychotics are medications which are prescribed for the treatment of hallucinations and delusions. They are the main types of medication used for the treatment of schizophrenia. They can also be helpful for agitation and anxiety, and problems with thinking, mood, and socializing. Most of them are capsules, tablets or fluids taken every day. Some antipsychotic medications are available in the form of injections and they are not addictive. The purpose of antipsychotic drug therapy is to control the signs and symptoms at the lowest possible dose. Psychologists may try to use different medicines, dosages or combinations over time to achieve the desired results. It can help with some other medications, such as antidepressants and anxiety. It may take several weeks to see improvements in symptoms. When you are trying to start a new medication, your doctor tells you the expected benefits. He also tells you about the possible side effects. Make sure that you have understood properly before starting medication. Because antipsychotics can cause serious side effects, people with schizophrenia may be unable to take these medicines. But the desire to cooperate in treatment can affect the choice of medication. For example, a patient who consumes medicines may need to take an injection instead of tablets. Therefore, ask your doctor about the benefits and side effects of prescription medication. These antipsychotics are often cheaper than second-generation antipsychotics, especially generic versions, which can be considered important when long-term therapy is necessary. Most people with schizophrenia generally use antipsychotics medication in their treatment. Antipsychotics work well when combined with psychological treatment. Psychological treatment helps you stay with schizophrenia without thinking about diseases and have the best possible quality of life. For the better functioning of psychological treatment, you must make a good working relationship with your doctor or any other physician. You must trust them and should be optimistic about your recovery. For adults with schizophrenia who do not respond to medication, ECT treatment (Electro Shock Therapy) can be considered as an alternative. Electrolysis can be helpful for someone who is depressed too. Individual therapy: Psychotherapy may help normalize thinking patterns. Also, learning to cope with stress and identifying early warning signs of relapse can help people with schizophrenia manage their illness. Social Skills Training (SST): This highlights improved communication and social interaction and enhanced capacity to participate in day-to-day activities. Family Therapy: This provides support and education for families dealing with schizophrenia. Vocational Rehabilitation and Subsidized Employment: This highlights the help of people with schizophrenia to prepare, find, and maintain jobs. Learn about schizophrenia: Learning about it can help the schizophrenic person to follow the treatment plan. Education can help friends and family to understand the disorder and to be more sympathetic towards the affected person. Join a support group: Support groups for people with schizophrenia can help you communicate with other people who face similar challenges. Support groups can also help in customizing family and friends. Focus on your goals: Schizophrenia management is a continuous process. Considering therapeutic goals for a schizophrenic patient may help keep him enthusiastic. Help those who love to take responsibility for managing the disease and working to achieve the goals. Ask for help with social services: These services may be able to help provide accommodation, transportation and other daily activities at reasonable prices. Learn to relax and manage stress: A person with schizophrenia and their loved ones may benefit from stress reduction techniques, such as meditation, yoga, or tai chi. Most people with schizophrenia need some type of daily life support. Many communities have programs or support groups to help people with schizophrenia in crisis situations. The person in the management position or treatment team can help in finding resources. With the appropriate treatment, most schizophrenic patients can manage their illness.